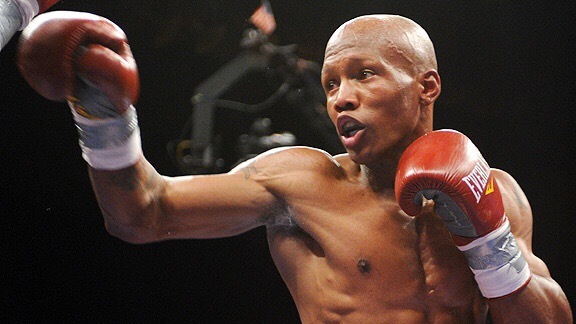 Zab Judah’s long-awaited return to the boxing ring was a successful one, as the former welterweight champion defeated Jorge Luis Munguia by TKO in the second round on Saturday. This was a bout essentially designed to make Judah look good and shake off any potential ring rust, so the mission was accomplished. Judah last fought in December 2013 when he lost to Paulie Malignaggi by unanimous decision. It marked his third loss in four fights, casting doubt on his ability to be a top welterweight at the age of 36. More than three years later, time didn’t seem to be on Judah’s side, yet he put together the perfect storm of circumstances to get back on the winning track. Yet there has never been any doubt in Judah’s mind that he would be able to regain the form that once made him the undisputed welterweight champion. I have a lot left, and even though I’ve been off, I’ve been through numerous training camps. I sparred with [Floyd] Mayweather when he was getting ready for the [Manny] Pacquiao fight [in 2015]. I got in tremendous shape. A couple of fights fell through because of different difficulties, but I was always prepared, always in great shape. Still to this day, I’ve never been as heavy as 160 or 165. I have 20 years in the game, and I’m still at 140 pounds. I feel like I am a very disciplined fighter. As for what this win means for Judah moving forward, that’s a more complicated issue. He did need a win to turn around his previous losing stretch, but Munguia is not the kind of fighter to provide an accurate litmus test. Munguia is a 28-year-old fighter who now has a pedestrian 12-8 career record and has lost five consecutive fights and seven of his last nine overall. This wasn’t a fight to build up Judah for a welterweight title shot—at least, it shouldn’t be—but he can use this win as a springboard for another fight later this year that can lead to bigger things for him down the road.